In the 1920s the widow of Scottish preacher and chaplain Oswald Chambers began to publish books and articles from notes she had taken in shorthand during the messages Chambers preached to the Australian and New Zealand troops during his time at the YMCA in Zitoun, Cairo, Egypt. Chambers' talks, each about 500 words, were published under the name My Utmost For His Highest. It became a bestseller and the book has remained in print ever since and is today considered one of the greatest Christian books of the 20th century. In 1995 Christian record label Word Records released a multi-artist album where many of America's bestselling CCM artists sang songs inspired by Chambers' spiritual classic. The 'My Utmost For His Highest' featuring such acts as Amy Grant, Point Of Grace, Steven Curtis Chapman, Sandi Patty, Michael W Smith and 4Him became a bestseller and the following year a second volume, this time featuring BeBbe Winans, Susan Ashton, Anointed, Michael W Smith and Clay Crosse, was issued. Now on 26th September Word Entertainment together with Discovery House Publishing released a new multi-artist compilation celebrating Chambers' beloved devotional. The Grammy-winning brothers For King & Country are joined by their sister singer and actress Rebecca St James on a version of the hymn "Amazing Grace". Other collaborations on the album are Big Daddy Weave with Francesca Battistelli; Hollyn and Chris McClarney; Unspoken and Blanca; Sarah Reeves and Chris Quilala; Zealand Worship and Mike Donehey; Brandon Hampton and United Pursuit; and Out Of The Dust and The Gray Havens. Other artists on the project are Lauren Daigle performing an acoustic version of "Power To Redeem" and a version of "My Victory" originally recorded by Crowder, sung by We Are Messengers' frontman Derek Mulligan. Meredith Andrews, Chris August and Selah also contribute tracks to the album. 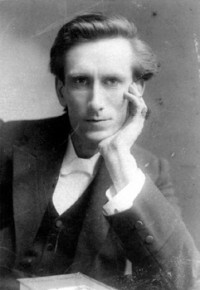 A century after his death (on 15th November 1917) Oswald Chambers continues to guide countless people into knowing God better through his book which has now sold more than 13 million copies. It is hoped this new musical tribute will encourage more believers to turn to the book.